Hi there! Today, we leave the comets for the system of Pluto-Charon. Of course, you know Pluto. Formerly the 9th planet of our Solar System, until 2006, it remains an object of interest. So interesting that it has been visited by the spacecraft New Horizons in July 2015. 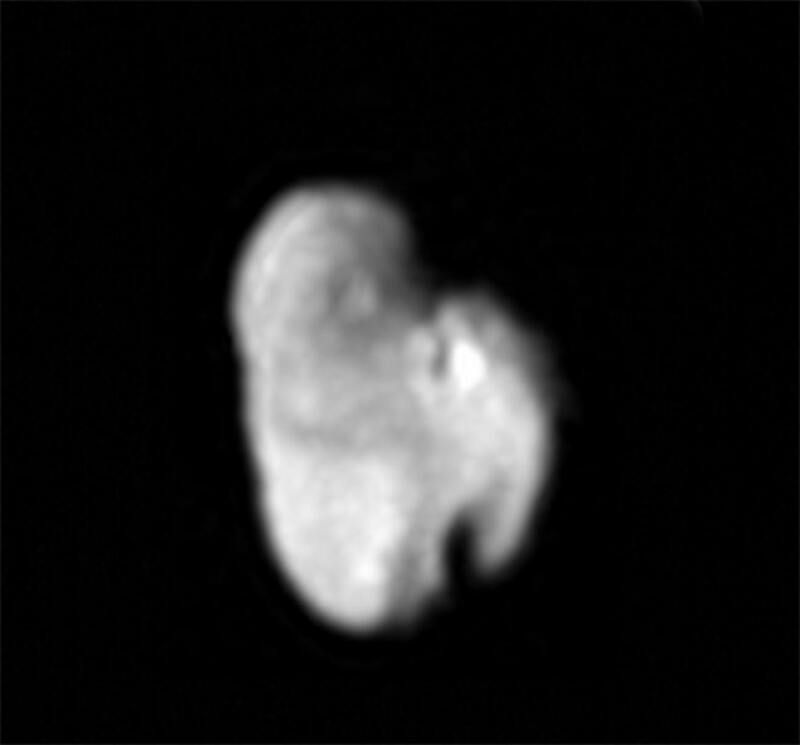 You know, the same spacecraft which gave us these amazing images of Ultima Thule (also known as 2014 MU69). Anyway, we are not done with Pluto. It has a large satellite, Charon, which makes Pluto-Charon a binary object, i.e. Pluto and Charon orbit about a common barycenter, which is significantly outside of Pluto. And around this binary, you have (at least) 4 small satellites, which are Styx, Nix, Kerberos and Hydra. I say at least, because the authors of the study I present today address the following question: could there be more? I mean, if you add a satellite somewhere, will it survive? If no, then you can say that the system is dynamically packed. This the opportunity for me to present A Pluto-Charon sonata: The dynamical architecture of the circumbinary satellite system, by Scott J. Kenyon and Benjamin C. Bromley. This study has recently been published in The Astronomical Journal. Could there be something outside? I guess you have already heard of the discovery of Pluto by Clyde Tombaugh in 1933 (see here). It appeared that Pluto had been observed at least 16 times before, the first of these precoveries dating back to 1909. 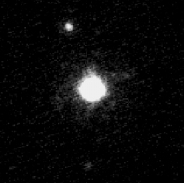 The launch of the spacecraft New Horizons in 2006 motivated the observations of the binary Pluto-Charon by the most efficient observing facilities, in particular the Hubble Space Telescope. This telescope permitted the discoveries of 4 moons of the binary: Nix and Hydra in 2005, Kerberos in 2011, and Styx in 2012. You can find some of their properties below. As you can see, the binary Pluto-Charon is doubly synchronous, i.e. Pluto and Charon have the same spin (rotation) period, and Charon has that same orbital period around Pluto. It would be accurate to say that Pluto and Charon have both this orbital period around their common barycenter. It can be shown that this state corresponds to a dynamical equilibrium, which itself results from the dissipation of rotational and orbital energy by the tidal interaction between Pluto and Charon. However, the four other moons are much smaller, and much further from Charon. They spin much faster than they orbit, which means that the tides were not efficient enough to despin them until synchronization. Hydra spins in hours, while the others ones, which are closer to the binary, spin in days. So, they may have despun a little after all, but not enough. No additional moon has been discovered since, even by New Horizons. The authors wonder whether that would be possible or not. For that, they ran intensive numerical simulations. to simulating planetary formation, especially the growth of the accreting bodies. For this specific study, the authors considered only the N-body simulations. For that, they added massless particles in the binary, i.e. these particles were perturbed by the gravitational action of Pluto, Charon, and their four small moons. The simulations were ran over several hundreds of Myr. I would like the reader to be aware that the stability, i.e. survival, of such particles is not trivial at all. You can imagine that if you come too close to a satellite, then you might be ejected. But this is not the only possible cause for ejection. In such a system, you have many mean motion resonances. Imagine, for instance, that you are a massless particle (happy to be massless, aren’t you? trust me, it is not that fun), and that you orbit around Pluto-Charon exactly twice faster than Hydra (this is just an example). Every two orbits, your closest distance with Hydra will be at the same place. This will result in cumulative effects of Hydra on you, and since you are massless, you are very sensitive to these effects (which are actually a gravitational perturbation). And the outcome is: you might be ejected. Let us see now the results of the simulations. Yes, because of these resonances, most of the massless particles orbiting inner to Hydra are unstable. In fact, some of them may survive, but in specific locations: either inner to the orbit of Styx, which is the innermost of the small moons, or outside the orbit of Hydra, i.e. outside of the known boundaries of the binary. In-between, you may have some particles, which would be coorbital to the small moons. This phenomenon of 1:1 mean-motion resonances appears in several locations of the Solar System. 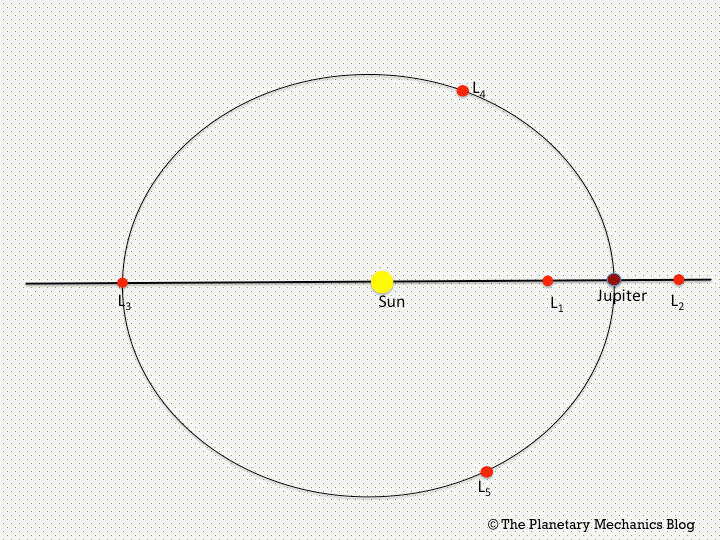 For instance, Jupiter has its Trojan asteroids, with which it shares its orbit. This also happens among the satellites of Saturn. Why not around Pluto-Charon? Well, you have to see them to be convinced they exist. These simulations just give you a theoretical possibility, i.e. this is not impossible. Anyway, the preferred locations for yet-undiscovered moons is outside the orbit of Hydra. The challenge would be to discover such objects. Inside, the system appears to be dynamically packed. The authors present a discussion on the future possibility to detect them. First, they mention the stellar occultations. Imagine the system of Pluto-Charon gets aligned between a terrestrial observer and a distant star. Then you can hope that, if there is something which is still unknown in that system, then it may occultate the light of the star, at least to some terrestrial observers. Of course, this may vary on from where on Earth you observe. For such a discovery to happen, you must be very lucky. 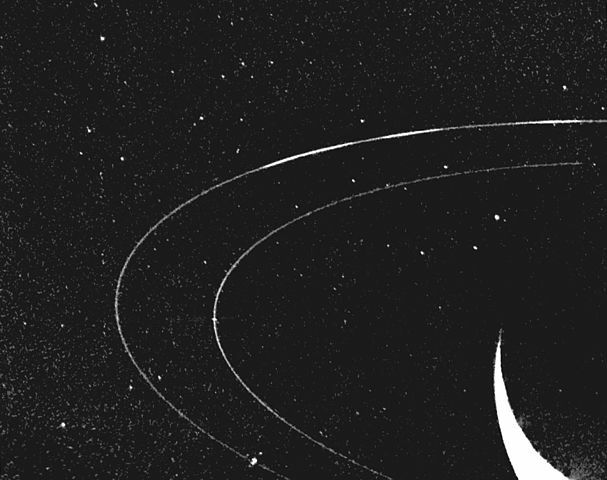 But remember that the rings of Chariklo and Haumea were discovered that way. Another hope for discovery is in the future instruments. The authors mention the JWST (Jawes Webb Space Telescope), which should be launched in March 2021. A kind of upgrade to HST (Hubble), its primary having a diameter of 6.5 meters, instead of 2.4 for Hubble. Moreover, it will be more efficient in the infrared, but unable to observe in the ultraviolet. You can find the study here. The authors made it also freely available on arXiv, and some animations here. Many thanks to them for sharing! and the one of Benjamin C. Bromley. Hi there! I have already told you about these Trans-Neptunian Objects, which orbit beyond the orbit of Neptune. It appears that some of them, i.e. 81 as far as we know, are binaries. As far as we know actually means that there are probably many more. These are in fact systems of 2 objects, which orbit together. The study I present you today, The journey of Typhon-Echidna as a binary system through the planetary region, by Rosana Araujo, Mattia Galiazzo, Othon Winter and Rafael Sfair, simulates the past and future orbital motion of such a system, to investigate its origin and its fate. This study has recently been accepted for publication in The Monthly Notices of the Royal Astronomical Society. Will it remain a binary? Imagine two bodies, which are so close to each other that they interact gravitationally. You can say, OK, this is the case for the Sun and the planets, for the Earth and the Moon, for Jupiter and its satellites… Very well, but in all of those cases, one body, which we will name the primary, is much heavier than the other ones. This results as small bodies orbiting around the primary. But what happens when the mass ratio between these two bodies is rather close to unity, i.e. when two bodies of similar mass interact? Well, in that case, what we call the barycenter of the system, or the gravity center, is not close to the center of the primary, it is in fact somewhere between the two bodies. And the two bodies orbit around it. We call such a system a binary. Binary systems may exist at every size. I am not aware of known binary giant planets, and certainly not in the Solar System, but we have binary asteroids, binary stars… and theory even predicts the existence of binary black holes! We will here restrict to binary asteroids (in the present case, binary minor planets may be more appropriate… please forgive me that). So, you have these two similar bodies, of roughly the same size, which orbit together… their system orbiting around the Sun. A well-known example is the binary Pluto-Charon, which itself has small satellites. Currently some approximately 300 binary asteroids are known, 81 of them in the Trans-Neptunian region. The other ones are in the Main Belt and among the Near-Earth Asteroids. This last population could be the most populated by binaries, not only thanks to an observational bias (they are the easiest ones to observe, aren’t they? ), but also because the YORP effect favors the fission of these Near-Earth Asteroids. Anyway, the binary system we are interested in is located in what the authors call the TNO-Centaurs region. and the distance between the Sun and the perihelion should be below that number, the perihelion being the point of the orbit, which is the closest to the Sun. The distance between the Sun and the asteroid varies when the orbit is not circular, i.e. has a non-null eccentricity, making it elliptic. When I speak of the orbit of an asteroid, that should be understood as the orbit of the barycenter, for a binary. And the authors recall us that there are two known binary systems in this TNOs-Centaurs region: (42355) Typhon-Echidna, and (65489) Ceto-Phorcys. Today we are interested by (42355) Typhon-Echidna. As you can see, the orbit is very eccentric, which explains why the binary is considered to be in this gray zone at the border between the Centaurs and the TNOs. These data have been taken from Johnston’s Archive. Once more, you can see a very eccentric orbit. Such high eccentricities do not look good for the future stability of the object… and this will be confirmed by this study. In addition to these data, let me add that the diameters of these two bodies are 162 &pm; 7 and 89 &pm;6 km, respectively, Typhon being the largest one. Moreover, water ice has been detected on Typhon, which means that it could present some cometary activity if it gets closer to the Sun. The remarkable orbit of the binary, which is almost unique since only two binaries are known in the TNOs-Centaurs region, supplemented by the fact it is a binary, motivated the authors to specifically study its long-term orbital migration in the Solar System. In other words, its journey from its past to its death. For investigating this, the authors started from the known initial conditions of the binary, seen as a point mass. In other words, they considered only one object in each simulation, with initial orbital elements very close to the current ones. They ran in fact 100 backward numerical simulations, differing by the initial conditions, provided they were consistent with our knowledge of them. They had to be in the confidence interval. In all of these trajectories, the gravitational influence of the planets from Venus to Neptune, and of Pluto, was included. They ran these 100 backward simulations over 100 Myr, in using an adaptive time-step algorithm from the integrator Mercury. I do not want to go too deep in the specific, but keep in mind that this algorithm is symplectic, which implies that it should remain accurate for long-term integrations. An important point is the adaptive time-step: when you run numerical integrations, you express the positions and velocities at given dates. The separation between these dates, i.e. the time-step, depends on the variability of the force you apply. The specificity of the dynamics of such eccentric bodies is that they are very sensitive to close encounters with planets, especially (but not only) the giant ones. In that case, you need a pretty short time-step, but only when you are close to the planet. When you are far, it is more advisable to use a larger time-step. Not only to go faster, but also to prevent the accumulation of round-off errors. It results from these backward simulations that most of the clones of Typhon are still in the TNOs-Centaurs regions 100 Myr ago. But the authors also investigated the fate of Typhon! For that, they used the same algorithm to run 500 forward trajectories. And this is where things may become dramatic: Typhon should not survive. In none of them. The best survivor is destroyed after 163 Myr, which is pretty short with respect to the age of the Solar System… but actually very optimistic. Only 20% of the clones survive after 20 Myr, and the authors estimate the median survival time to be 5.2 Myr. Typhon is doomed! And the reason for that is the close encounters with the planets. The most efficient killer is unsurprisingly Jupiter, because of its large mass. Interestingly, 42 of these clones entered the inner Solar System. This is why we cannot exclude a future cometary activity of Typhon: in getting closer to the Sun, it will warm, and the water ice may sublimate. All of these simulations have considered the binary to be a point-mass. 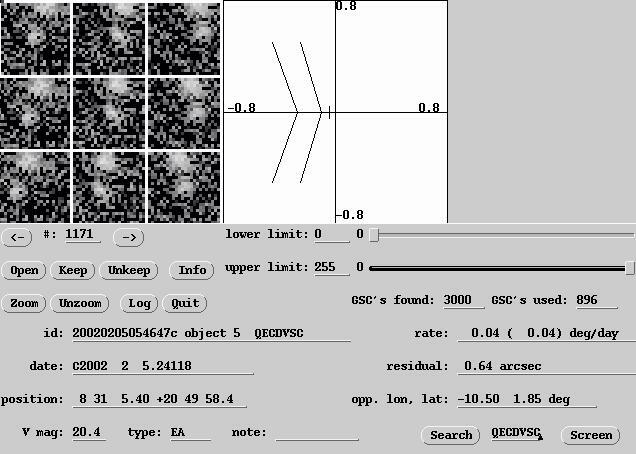 Investigating whether it will remain a binary requires other, dedicated simulations. The relevant time-step for a binary is much shorter than for a point mass, just because the orbital period of Typhon around the Sun is 236 years, while the one of Echidna around Typhon is only 19 days! This also implies that a full trajectory, over 200 Myr, will require so many iterations that it should suffer from numerical approximations. The authors by-passed this problem in restricting to the close encounters with planets. When they detected a close encounter in an orbital simulation of Typhon, they ran 12,960 simulations of the orbit of Echidna over one year. Once more, these simulations differ by the initial conditions, here the initial orbital elements of Echidna around Typhon. The authors concluded that it is highly probable that the binary survived close encounters with planets, as a binary. In other words, if Typhon survives, then Echidna should survive. and the ResearchGate profile of Rafael Sfair.